I regularly donate artwork, merchandise and services to help organizations and institutions I support. 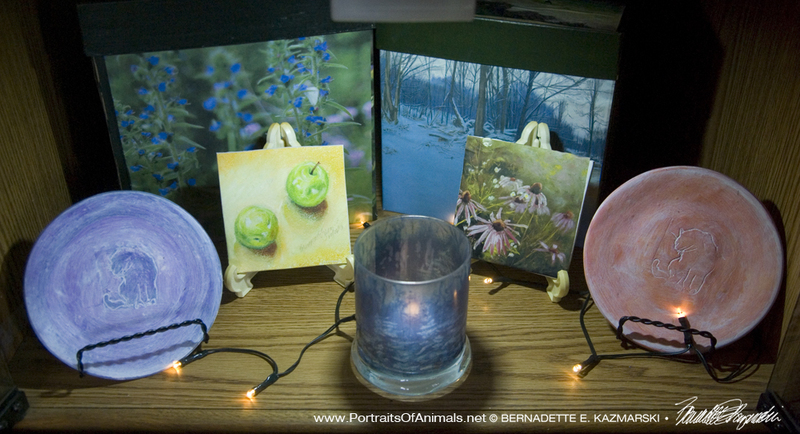 When there isn’t an opportunity for me to donate to an event I’ll set up an event for readers of my blog, either by “auctioning” off a piece of artwork or merchandise, or rewarding donors with gift certificates to purchase items from my website. I can also help through this site: if you’d care to donate to any of these efforts I will give you a gift certificate in thanks—for every $25.00 you donate in goods or cash I’ll give you a gift certificate for $5.00 off a minimum $25.00 purchase. Donate for a Discount has already assisted several individual rescued cats and cat rescue situations with the cat rescue I volunteer for, and also helped me pay for my brother’s aftercare expenses when he died unexpectedly last summer. This year I’m planning on helping my local public library raise operating expenses and a few small community projects as well. Many of my readers have often been generous in helping with the costs associated with rescues and other issues needing funding. When I set up this new website I included my favorite reward program as one of the pages, titled “Donate For a Discount”. I will give you a gift certificate toward shopping on my website in thanks—for every $25.00 you donate in goods or cash I’ll give you a gift certificate for $5.00 off a minimum $25.00 purchase. Because this will come to me I will know already that you donated. I will send you your gift certificate (discount code). Certificates are good until December 31, 2017, and I can renew them if you haven’t used them by the end of the year. Your Holiday Cheer Gift Certificate to use or give as a gift. Your gift certificate will have a code that will be active for use for at least until the end of the current calendar year. This code is entered at checkout for your discount. Your certificate is transferable too. Feel free to use your certificate for your own shopping, or to give as a gift. For my own accounting purposes, I’d like to keep all the transactions within a shorter period of time. And thank you for helping us make life better for homeless cats, and provide affordable services to pet owners and education to people to reduce the number of homeless cats to be rescued. 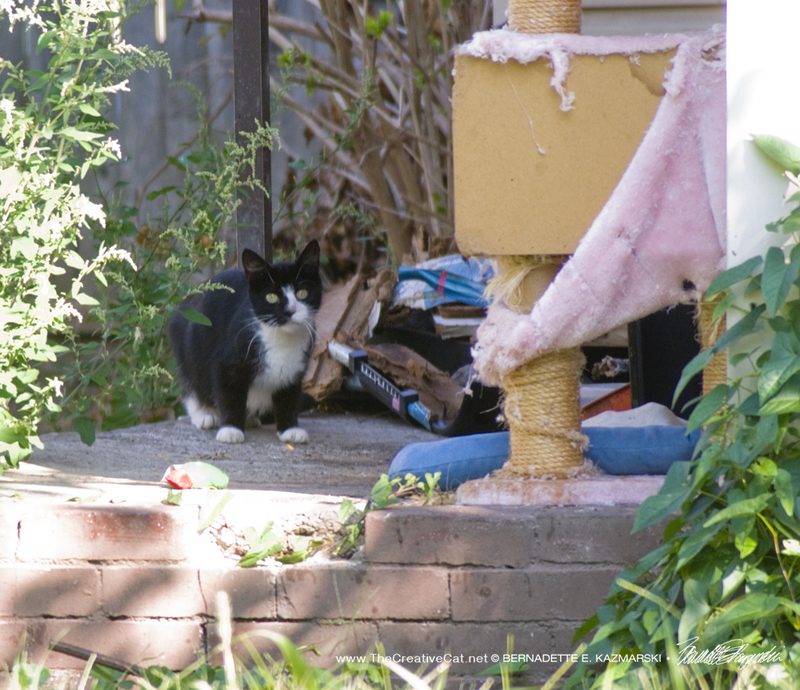 TNR project to remove stray and feral cats from an abandoned building to be demolished. Most of you who follow me know that I assist others in care for community cats and sometimes help with TNR, or trap-neuter-return of stray and feral cats to a caretaker. This particular project came up last September when someone found kittens wandering in an overgrown yard and I discovered there wer stray and feral cats living in the abandoned duplex there. The plot thickened as the building was for sale, then sold, then was to be demolished to build a new building. The two youngest kittens and any other kittens we suspect may have been born in the meantime will be fostered and socialized. Any friendly cats will be either fostered or surrendered to one of the shelters I know where they will be safely adopted or I will receive a call to take them back. The remainder who are too unsocialized or feral to be adopted will be spayed, neutered and vaccinated and I will take them to my friend’s farm about two hours away where she and her neighbors all have a few acres and more than one barn or outbuilding and they all feed cats. They can sort themselves out to live as close to humans as they are comfortable, either in or near a home or in one of the many barns she and the neighbors have. I can usually do this with a minimum of cost to myself, but this one is going to be a little expensive. I will use the free for ferals clinic in March, but I’m not sure if I’ll trap them all in time to get them there. I’ll have extra food costs while I hold them, I’d love to buy a trap or two to call my own, and there is travel to and from the farm. Donate whatever amount you’d like using my “Gift Certificate” selection, and in the text box let me know it’s a donation for the TNR project. I will confirm and send you your gift certificate in return. “Unless there’s some miracle, I’ll probably be saying goodbye to him in a few days.” It’s rare that something miraculous does happen, but rare doesn’t mean never. Buddy’s story starts out on a rather gruesome note. He was found on the side of a road, an orange and white kitten lying so still in the August heat, his legs obviously damaged that it was hard to believe he was alive. His rescuer was shocked to find he was still alive. In addition to the floppy broken legs he had a wound on his hip that was crawling with maggots, so he’d been there for at least 12 hours. He’d apparently been hit by a car, was unable to move and was likely experiencing intense pain. But Buddy was very much alive, and ready for love and affection and treatment for his crushed pelvis, fractured sacrum and fractured femoral heads, until the day he couldn’t pass stool because all the broken bones were collapsing in on themselves and even surgery couldn’t repair the damage. We gave him a chance, thinking we’d be saying goodbye, but the miracle happened and his body realigned his pelvis and sacrum, and now he can have surgery to repair his fractured femoral heads. 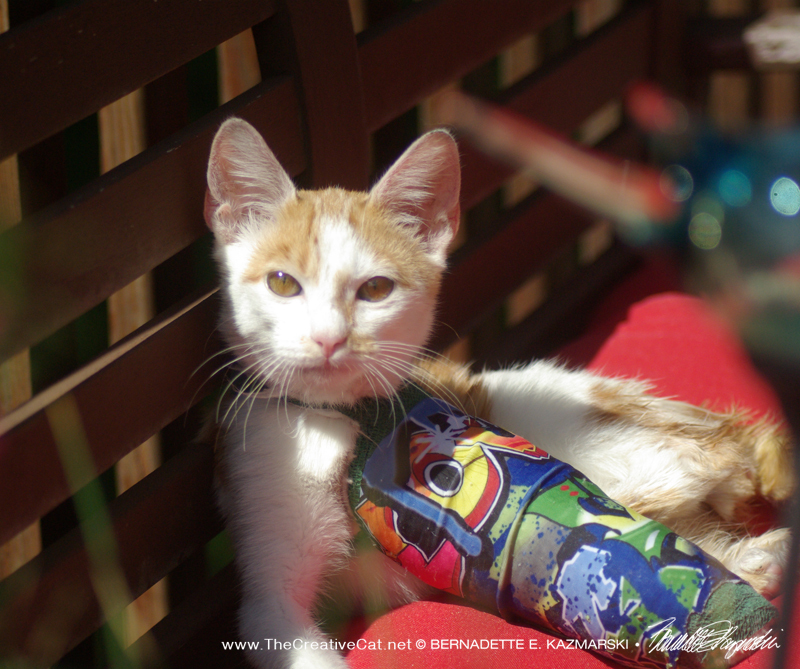 Not every cat could survive the accident, the pain, the healing, with such love and joy as Buddy. He deserves the chance. His surgery will be $3,000 and we are using as many fundraisers as possible to help raise the money. Read more about Buddy and make your donation, or just leave an encouraging comment on Buddy Gets a Miracle. Read other stories to see what types of donations have helped.